Incense sticks of Nag Champa Goloka are hand rolled to traditional recipes using fine aromatic roots, honey, natural herbs and flowers. 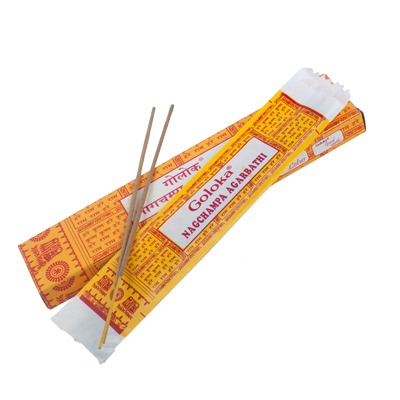 This is an exceptional Nag Champa incense. Fill your room with the relaxing smell of the Goloka Incense. Package contains 15 sticks.